How do I buy a PostalAnnex+ Franchise? PostalAnnex+ provides a complete range of shipping and business-related solutions for consumers and businesses. To buy a PostalAnnex+ franchise requires an initial investment of $29,950 and a total investment between $151,500-$224,450. Cost depends on the franchise format, new retail unit or express retail unit (located inside an existing business). Owners benefit from PostalAnnex+ experience, company culture, systems, marketing, training, support, everything necessary to grow their business. After retiring from the printing business, PostalAnnex+ founder Jack Lentz began working out of his home as a business consultant. He soon realized the need for mailing, faxing, copying, shipping and other services to belong under one roof. 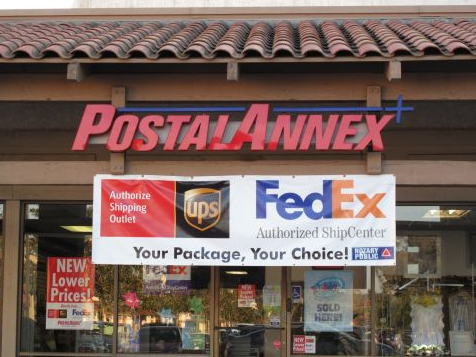 As a result, he created the first PostalAnnex+ store, business franchise, located next door to a post office in the University City neighborhood of San Diego, CA. Open PostalAnnex+ in any of these available states: AK, AL, AR, AZ, CA, CO, CT, DC, DE, FL, GA, IA, ID, IL, IN, KS, KY, LA, MA, MD, ME, MI, MN, MO, MS, MT, NC, ND, NE, NH, NJ, NM, NV, NY, OH, OK, OR, PA, RI, SC, SD, TN, TX, UT, VA, VT, WA, WI, WV, WY. After retiring from the printing business, PostalAnnex+ founder Jack Lentz began working out of his home as a business consultant. He soon realized the need for mailing, faxing, copying, shipping and other services to belong under one roof. 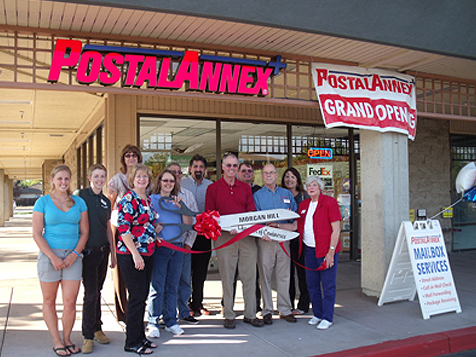 As a result, he created the first PostalAnnex+ store, located next door to a post office in the University City neighborhood of San Diego, CA. in 1985. With the company now more than 300 franchises strong, PostalAnnex+ is one of the largest postal-services company in the United States. At PostalAnnex+, we’ll work hard to help you make informed decisions and will assist you every step of the way in creating and growing your service center. From site selection and financing assistance to on-going advertising and sales promotions support, you will have the expertise of a nationwide company behind you.